Legionella, the bacteria that causes Legionnaires’ disease, was found in three suburban Illinois schools and one school district office earlier this morning, CBS Chicago reports. The bacteria was found in the schools’ cooling towers. The schools, all in the town of Elgin, Illinois, were immediately evacuated following the discoveries, which took place during annual inspections of cooling towers at Eastview Middle School, Larkin High School, and Gifford Street High School. Legionnaires’ cannot be spread from person to person, and is contracted by breathing in water vapor containing the bacteria. The disease — which is a form of pneumonia, caused by the water-dwelling bacteria Legionella — is acquired by breathing in infected water vapors and mists in the air. It can show up in air conditioners, showers, faucets, hot tubs, cooling towers, and large plumbing systems. The disease can be deadly to young children, seniors, and those with compromised immune systems. Symptoms are flulike and often include fever, chills, muscle aches, and coughing, according to the CDC. As Yahoo Health previously reported, Legionnaires’ disease recently infected 119 people and left 12 dead in a New York City outbreak.The outbreak began in mid-July in the South Bronx and is also believed to have originated in water from cooling towers. Also known as Legionellosis, Legionnaires’ disease results in an estimated 18,000 hospitalizations in the U.S. each year, according to the Centers for Disease Control and Prevention, but experts say the number of people infected by the disease is much higher. “It’s a fairly common type of pneumonia in the U.S.,” board-certified infectious disease specialist Amesh A. Adalja, MD, an assistant professor at the University of Pittsburgh Medical Center, tells Yahoo Health. Adalja says Legionnaires’ disease typically represents about 5 percent of pneumonia cases but is underdiagnosed because the symptoms and treatment are similar. Outbreaks are more common in the summer and early fall, Adalja says, likely because people are exposed to air conditioners. 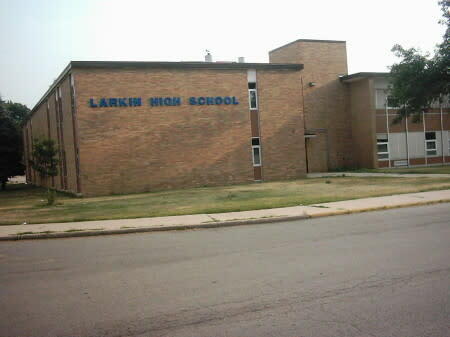 Eastview Middle School, Larkin High School, and Gifford Street High School were evacuated, along with Elgin School District U-46’s central office staff, Newsweek reports.